Game designer (and musical maestro) Simon Viklund has had some adjusting to do over the past few years, watching a game series he was once a driving force behind end up in the arms of another man. Well, team. Viklund served as creative director on 2008's Bionic Commando Rearmed, a pulsating remake of 1988's Bionic Commando for the Nintendo Entertainment System. Along with his colleagues at Swedish studio GRIN, he oversaw the creation of one of the most stylish and enjoyable platformers in recent years. Fast forward to 2011, though, and things have changed. GRIN, once a promising developer with an ambitious console game under its belt and an even bigger one on the drawing board, is no more. Meaning the sequel to BCR, a game born of GRIN's Bionic Commando fever, would be handled by somebody else. 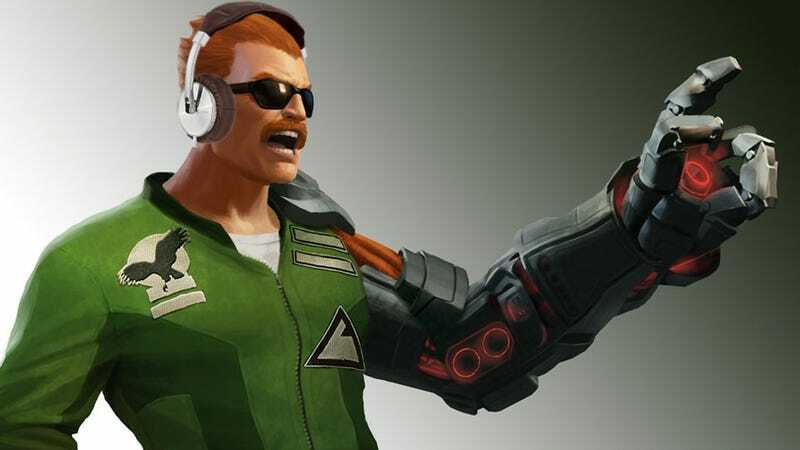 "Bionic Commando Rearmed was sort of my baby - it was the baby of the entire team", Viklund tells Kotaku. "As fate would have it BCR2 became someone else's baby, and needless to say it was a little bit scary to let go — but hey, none of us could do much about that." Vikund says that while "two or three former Grin employees" wound up working on Bionic Commando Rearmed 2 at new developers Fatshark, on the whole it was "a brave new dev team". Yet the sequel wasn't entirely without input from some of the most important men involved in the creation of the first game. While Viklund was obviously not required in his role as game designer, he had also composed Bionic Commando Rearmed's soundtrack, which in hindsight many regard as their favourite part of the game. Working as a freelancer, Viklund and Henrik Anréus, one of the original sound designers from Bionic Commando Rearmed (who helped out Fatshark's own in-house crew) ensured at least one part of the game had some continuity, the crunchy chiptunes and distinctive sound effects carrying over from Rearmed to its sequel without missing a beat. With the book now well and truly closed on both GRIN and his involvement with Rearmed, what then does the future hold for Viklund? Well, aside from working on his own music (which you can check out on his personal site), he's also teaming up with Bo and Ulf Andersson, the original founders of GRIN, to form an entirely new studio. That studio doesn't have a website, or even a name yet, but it does at least have those three guys, which in terms of perseverance must count for something.